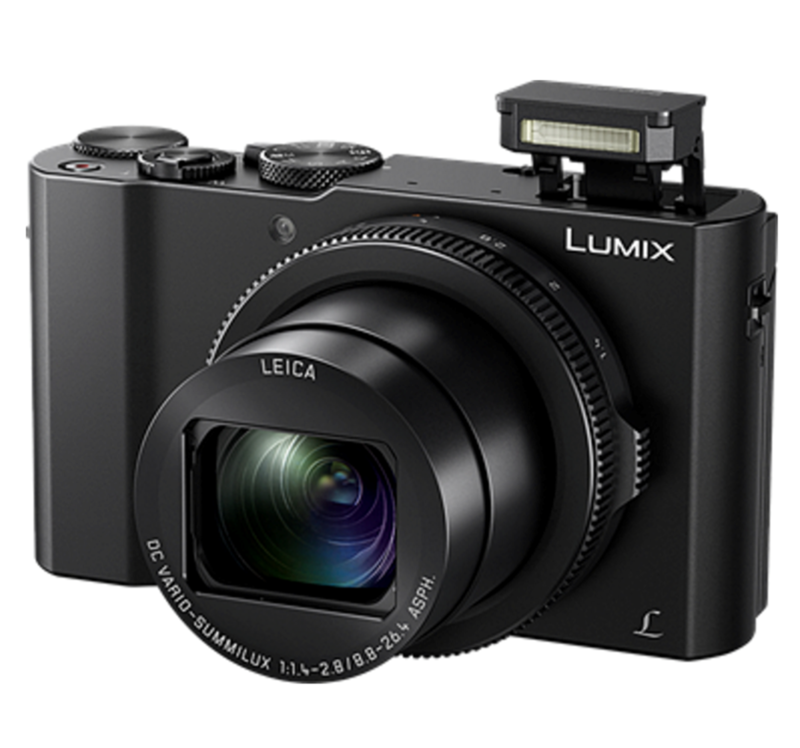 Premium lens-mounted control ring brings DSLR-like exposure control to a compact point-and-shoot camera body. Large 3.0-inch touch monitor (approx.1040k-dot) tilts upward 180 degree for easy selfi photos. Inside the LUMIX LX10 beats the heart of a photographic enthusiast. 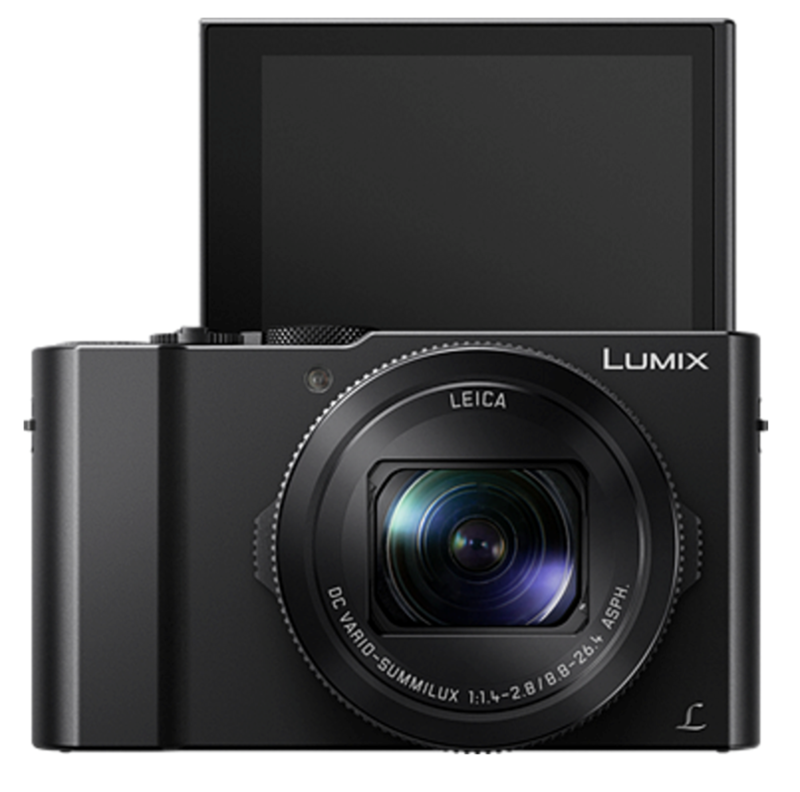 And with a 1-in, 20 MP 4K sensor, LEICA lens and more, you'll feel it in every image. 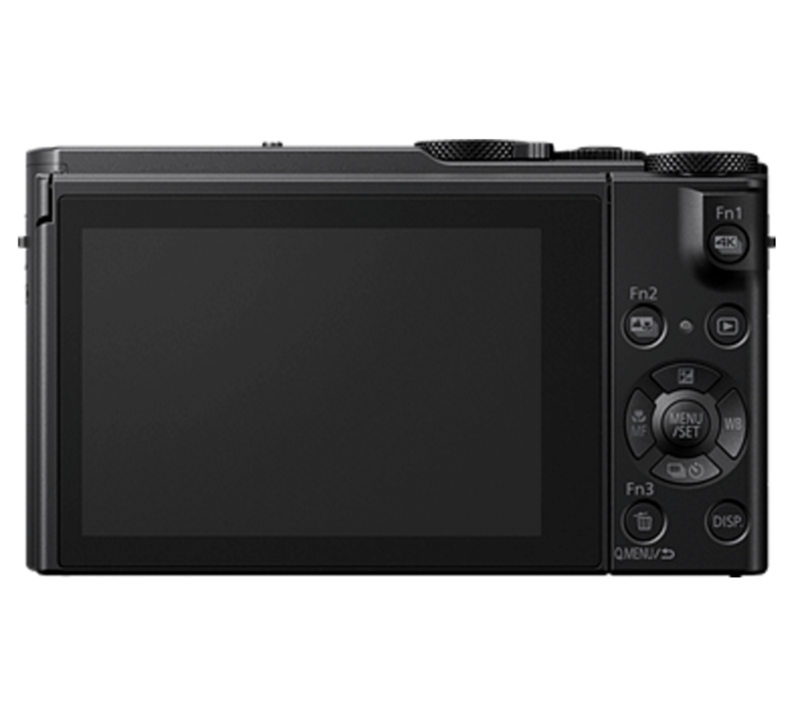 The 1-inch 20.1-megapixel High Sensitivity MOS sensor records 4K and high-quality photos in super-sharp detail. Combined with the Venus Engine, ISO12800 / Extended ISO25600 recording with stunning picture quality is possible. Photo creativity is based on light, and it all begins with the lens. With the LUMIX LX10 a crystal-clear F1.4-2.8 24-72mm LEICA DC VARIO-SUMMILUX lens provides a decisive edge even in low light, and adds a beautiful bokeh effect. With a minimum focusing distance of 3cm (wide) and 30cm (tele), capturing spectacular close-up details, even handheld, is possible thanks to a proven POWER O.I.S. (Optical Image Stabilizer). Fast-action focusing is never a problem thanks to the DFD (Depth From Defocus) that instantly calculates the distance to the subject and quickly establishes a focus lock for 6 fps burst AFC or 10 fps burst AFS. 4K delivers a far more intense viewing experience. Its native resolution of 3,840 x 2,160 pixels is four times larger than Full HD for a much higher level of detail. 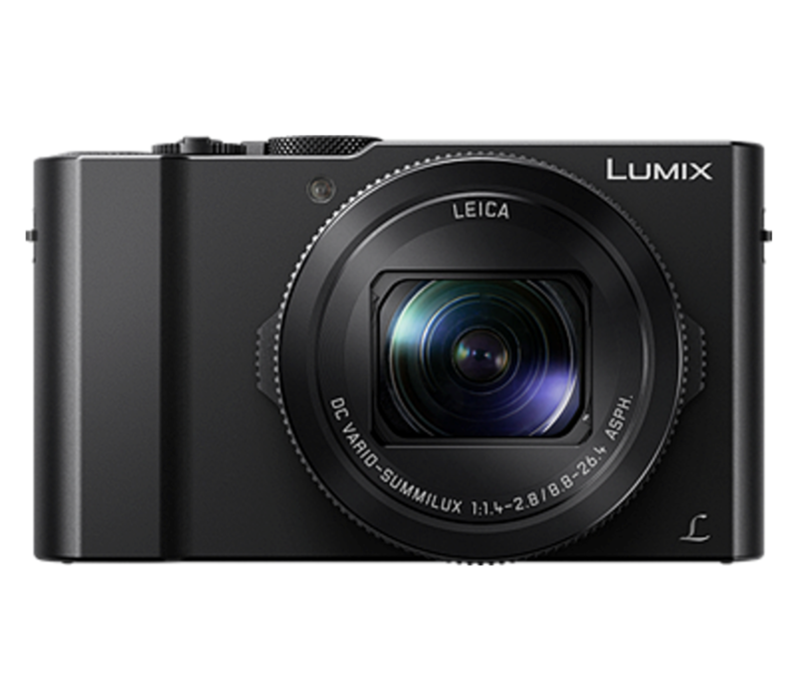 With the LX10 photography from 4K technology is easy. The camera's 4K PHOTO mode taps into 4K video recorded at a blistering 30 frames per second, to let you select the single best image after shooting, for unmissable moments. Now even after you've taken the photo you can refocus it with Post Focus. Just review the image on the camera's screen and touch the part of the photo you want to be pinpoint sharp. It's that simple. Focus Stacking mode enables you to adjust in-focus areas after shooting by easily combining multiple images in the LUMIX LX10. A great benefit when shooting macro images. The large 3.0-inch (approx. 1040k-dot) touch-screen monitor tilts upward to selfies and ground level photography easy. When flipped up 180 degrees, selfie settings are automatically set. A lens-mounted aperture ring adds precise control of the bright LEICA DC VARIO-SUMMILUX lens (F/1.4-2.8). 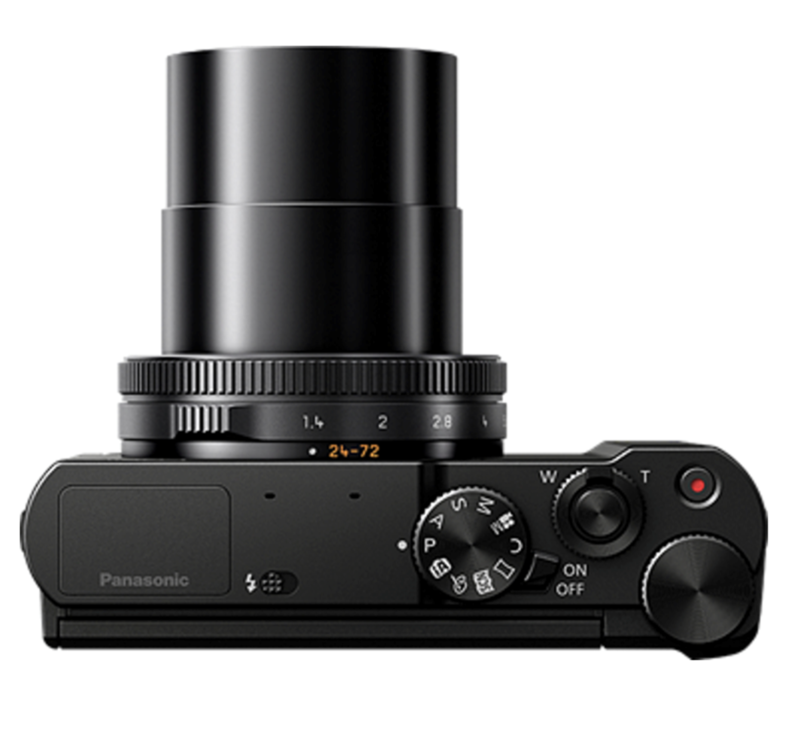 Plus, dual control of the lens ring and rear dial adds manual control of shutter, zoom and focus. Focus Bracket and Aperture Bracketing provide additional creative options. Select the mode that matches the situation or conditions, then choose the best photo after shooting. Record high-speed videos at 120 fps in FHD quality for scenes that can't be seen with the naked eye, and play them back in dramatic slow motion. With 4K Live Cropping only the recording frame moves while the camera maintains a fixed position, allowing for stable panning.